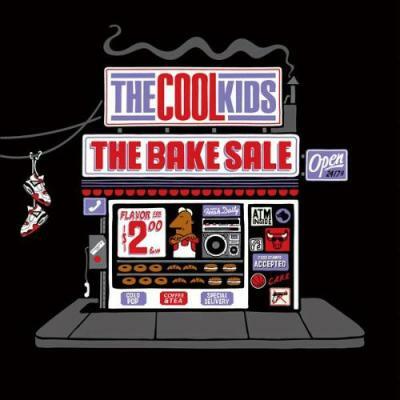 The Bake Sale was the closing of a first chapter in the Cool Kids’ career. Most of its tracks had already circulated around the Internet, catapulting the Cool Kids — Mikey Rocks and Chuck Inglish — into notoriety. Songs such as “One, Two,” where Mikey Rocks percussively looped a girl lolling “da da da da,” were modest, minimalist wonders. Even if Mikey Rocks mostly borrowed bass styles from other regions for his Chicago coolness – the booty bass codes of deep South towns like Miami and Atlanta and the pre-rugged noise of mid-80s golden age New York – he mixes his influences into a uniquely middle-class vision: the freewheeling hipster consumerism of “Gold and a Pager” and “A Little Bit Cooler.” Aspiring to old-school glory, the Cool Kids couldn’t muster the fly rhymes that typified those old-school classics. Instead, they produced a new kind of classic with The Bake Sale, one both informed and unencumbered by the past. This entry was posted in Plug One 2000s and tagged The Cool Kids. Bookmark the permalink.